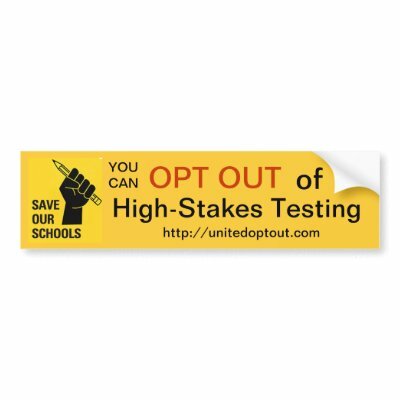 United Opt Out National is hosting “Occupy 2.0: The Battle for Public Schools” from April 7-10th in Washington D.C. Speakers over the course of the weekend include Diane Ravitch, Leonie Haimson, Nancy Carlsson-Paige, Brian Jones, and Karen Lewis. New York Principals are hosting “More than a Number: How State Testing is Affecting the Educational and Emotional Health of Our Children” on April 10th at the Hofstra University Adams Playhouse at 7:00 pm. Click here to register. This entry was posted in General and tagged Carlsson-Paige, Haimson, Karen Lewis, Opt Out, Ravitch, standardized testing. Bookmark the permalink. 1 Response to Calling All Activists! Actually, our president will be in Washington the 9th and 10th for RA…..